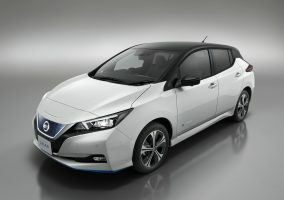 MAINTAINING and promoting the green spaces of Milton Keynes is the main aim of The Parks Trust, and now they’ve got the perfect automotive partner for the job — the all-electric Nissan LEAF. 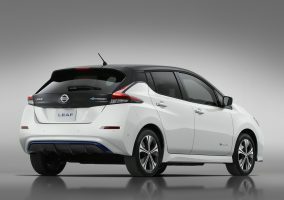 Thanks to a deal through Glyn Hopkin, The Parks Trust has added four all-electric LEAFs to its fleet to transport staff around the 6,000 acres of green space it manages, from woodland areas, river valleys, public parks and other landscaped green spaces. The LEAFs bring the Trust’s fleet of vehicles to 20, and make up 30% of its entire fleet, and thanks to their deal with Glyn Hopkin, the cars are cost-neutral. The vehicles, all powered by 24kWh batteries, are charged by the Trust’s Chargemaster RAPID charger at its main office. Further chargers are set to be fitted at its other depots soon. 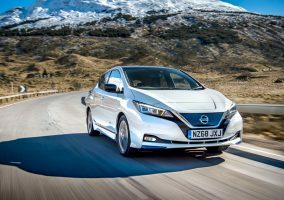 The Parks Trust’s Finance Director Gavin Gager, said: “The acquisition of the Nissan LEAFs was driven by a desire to improve our carbon footprint and decrease the negative impact on the environment by our fleet vehicles. 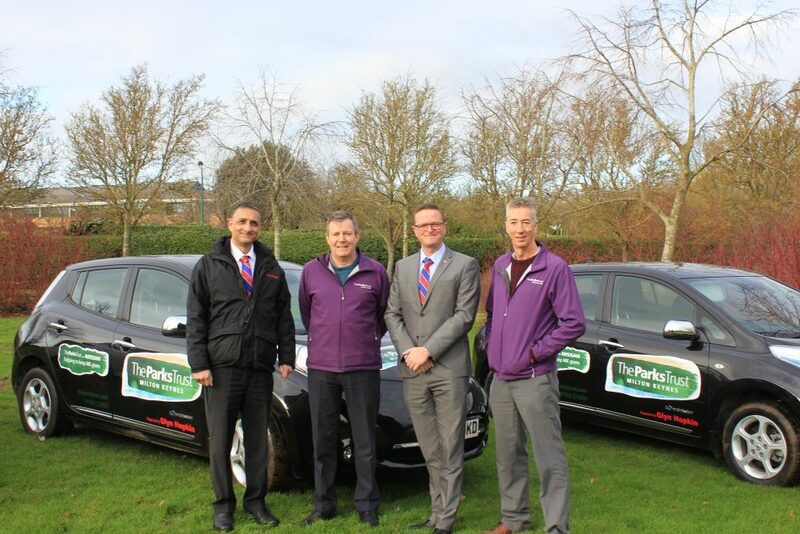 From left, Glyn Hopkin fleet sales representative John Gerval, The Parks Trust Chief Executive David Foster, Glyn Hopkin’s Fleet Director Dean Quy and The Parks Trust’s Landscape and Operations Director, Rob Riekie.